If you’ve tried to get an appointment with a new doctor recently, this won’t be news to you. 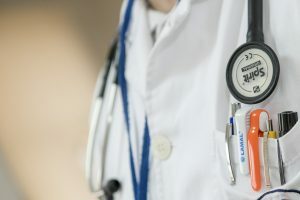 The most recent survey conducted by Merritt Hawkins, a national healthcare search and consulting firm, found that the average amount of time new patients have to wait to get an appointment with a family medicine, cardiology, dermatology, orthopedic surgery, or obstetrics/gynecology physician for a non-emergency medical condition has increased 30% since their 2014 survey. The average wait time is 24.1 days in the large metropolitan areas where the firm conducted the survey and 32 days in the mid-sized metropolitan areas surveyed. But those averages don’t tell the whole story. In Boston, the average wait for a new patient appointment for a checkup with a family medicine physician is 109 days, while getting an appointment with a family medicine physician in Albany, New York takes an average of 122 days. You could wait 51 days to get a well woman checkup appointment with an OB/GYN in Philadelphia and 45 days for a non-emergency appointment with a cardiologist in Boston. There a number of factors that may be linked to these increasing wait times. After the passage of the Affordable Care Act, approximately 20 million additional Americans had health insurance and were able to get access to care they could not afford before. In addition, the number of people 65 and older, who use more healthcare services on average than younger people, has increased. There are also indications that the longer wait times are related to a shortage of physicians in key specialties. Choose a concierge or direct pay medical practice: For an annual fee, you usually have access to same-day or next-day appointments. These medical practices may also offer in-depth phone or video call consultations. Get a referral: In some cases, if your primary care physician has a relationship with the specialist you need to see, he or she may be able to help you get an appointment more quickly by providing details of your condition and an opinion on why you should be seen sooner rather than later. Ask if another physician in the practice could see you sooner. If your first choice is booked for months to come, ask the receptionist if other physicians in the practice have an appointment available sooner. Work with a health advisor: An advisor can help you find skilled primary care physicians and specialists and expedite appointments with them. Ask to be placed on the cancellation list. Many offices keep a list of patients who want access to the next available appointment. If a previously scheduled patient cancels, the appointment is offered to the people on this list.